Getting scriptwriter, producer, director an actress, Emem Isong, for an interview is achieving a great feat. Aside the fact that she is always busy producing one film or the other, her newborn baby, Kenechi gives her more work. Speaking to Klieglights on the experience of combining motherhood with her job she said, "it hasn't been easy but I employ competent hands around me. I go with him to location most times." When Kelechi was a 10-month-old, she had to carry him from Lagos to Eket in Akwa-Ibom State, to Abuja and Benin to shoot the film Uyai. According to her, "I wrote the script when I was in the ninth month of my pregnancy." Not even pregnancy or childbirth could deter the hardworking Emem from producing her movie. She would however not comment on who the father of her baby is. On wedding bells she said, "I will definitely let you know about that very soon. But then I don't think the world wants to know about my personal life." Since 1994, Emem has written and produced more than 17 movies some of which have won awards both nationally and internationally. Aside being a backstage person, Emem seems to be coming out to the fore of the screen these days. According to her, "I have always featured in some of my movies in one scene or the other. I did Critical Decision, Shattered Illusion and others but then, I consider myself more of a backstage person. I produce and write most times." Emem Isong is without doubt one of the few good screenwriters in Nigeria and one of the reasons Nollywood movies are being celebrated abroad. In 2003, her film Emotional Crack was nominated for the New York African Film Festival. The film's major theme is wife battering in Africa; Chidi (Ramsey Nouah) derives pleasure in beating his wife, Crystal. The film is directed by Lancelot Oduwa Imasuen. Aside this movie, she has also written and produced Games Men Play, A Piece of Flesh, Reloaded, Promise Me Forever, Girls in the Hood, Private Sin, Behind Closed Doors, Darkest Night, Enslaved, Games Women Play, Masterstroke, Men Do Cry, Blind Obsession, Silence of the Gods, Ekaete, For Real, Endless Lies and Critical Decision among others. Speaking on how she comes about her storylines, which is usually a refreshing contrast to most Nollywood movies some of which lacks content she said, "I would say I'm just creative. I read books a lot and I watch movies too so I guess the idea just flows." 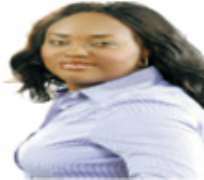 Emem Isong has always been interested in the make-believe world. She studied theatre arts at the University of Calabar and according to her, "I got into movies after I graduated and that was in 1996. I did my first movie called Breaking Point and several other movies after that." According to her, film production was out of the little knowledge she got from school then. "I studied theatre arts and that was the closest we had in filmmaking. We had a course in the arts called film and television. It's a one-year course on the rudiments of filmmaking. Aside this, I would say it's the passion I had that had made me achieve my goal as a producer." Emem, who initially began with movies with romantic and social themes seems to have turned to comedy recently, with the production of Uyai, which will be premiered in November. According to her, "Uyai is a language movie that I shot in my place and the cast includes Moses Armstrong, Ini Edo and Desmond Elliot. It's a comedy about a man who decides to travel but somehow does not make it. His wife thinks he did, that night it is shown on the news that the bus her husband is supposed to travel in is involved in an accident and she even goes to the mortuary to confirm the dead body of her husband. The question is who then is the person in her house claiming to be her husband?" Explaining the choice of artistes she said, "I had to choose the artistes that can speak my language because the film is shot in my language and Desmond Elliot directed it." Speaking on her special relationship with Desmond Elliot and the fact that he always appears in her movies she said, "He's always acting in most of my films because he is an actor that I respect very much, he is also my friend so why shouldn't he be in my movie?" On the journey so far, from 1996 till date, "it takes a lot of hard work, a lot of sacrifice, especially in a terrain that is not so favourable to filmmakers. Filmmaking is a new industry in Nigeria and people did not take it seriously then, but now I think it is getting better. So far it has been rewarding, to me. Success is relative. It is when I have good films and I think I have that." On her storylines that have made her famous she said, "when I first started I did my movies myself, I guess it's a gift from God but along the line, I also worked with other people. I may conceive a story and someone else does the scripting or someone might conceive the story and I do the scripting." Emem is from a family of writers. "My younger brother is a writer but he does more of creative writings like poems and songs. My sister is also a scriptwriter so yes I would say that we are all writers in the family." Aside filmmaking Emem said there is nothing else for her to do. She is sold out to movie production and right now she says, "I'm working on premiering the movie Uyai. Shortly after that I will work on another movie." Her hobbies include watching movies, reading and hanging out with friends.